There are two different tracking link generator options using ClickMeter if you want to create multiple links at once. If you have multiple existing links which you currently record in an Excel file, or multiple links that are easily transferable to an Excel file, this option is most likely the right one for you. There is a lot of flexibility with the ClickMeter API. Your options on how to generate links are almost endless using this option. You will need a developer if you wish to choose this option. If you do not have a developer, the import option is going to be the right one for you. If you do have a developer, direct him or her to the ClickMeter API FAQ page, where they will be able to learn all about the possibilities of creating multiple tracking links quickly. 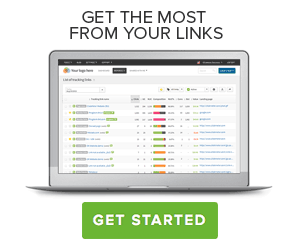 How to generate multiple links quickly. Different tracking link generator options ClickMeter users have. Importing or uploading tracking links from Excel. The power of the ClickMeter API in regards to creating multiple tracking links.